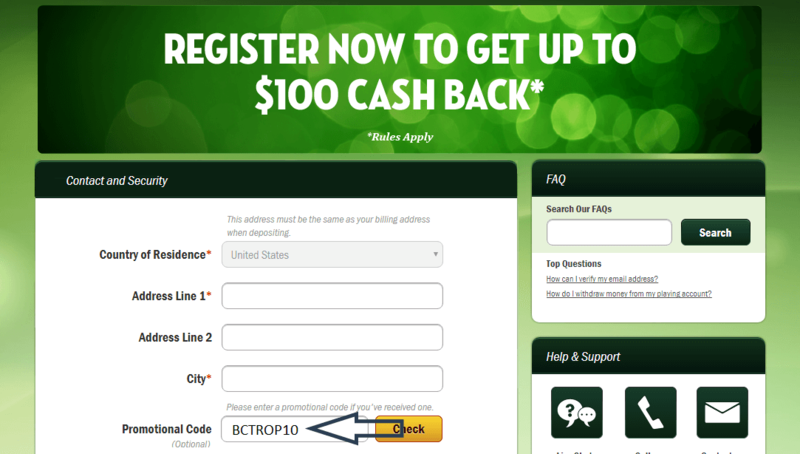 Get $10 free just for signing up at Caesars Casino. Plus, make your first deposit and Caesars will match your deposit 100% up to $300. Once you deposit and receive your bonus, you can use it towards your favorite casino games on CaesarsCasino.com. The bonus may not be used for sports wagers. Bet with your head, not over it. Gambling Problem? Call 1-800-GAMBLER. Please read full Terms & Conditions. Get ready to enjoy some of the best online casino games and benefit from the chance to double the initial deposit with the Caesars Casino bonus code. With this great code, players who are new to the site can enjoy two bonuses. A $10 free bonus dollars right after they verify their identity and a 100% match bonus that can add as much as $300 to the new casino account. This tested and verified review of the Caesars Casino Bonus Code also includes information about Caesars Loyalty Program and Caesars Software and Games. Not every player will be ready to make a real money deposit, which is why the casino is greeting all new players with a sign-up bonus of $10 free with no deposit required. This great Caesars welcome offer can only be redeemed one time and provides players with an instant credit of $10 that can be used to play the real money games at the site. These funds are available with no deposit required. This bonus money cannot be used on table games but when players access slots, they can generate some great payouts. This great Caesars offer is only available to new players, therefore to those ones who have not had an official account at Caesars online Casino in the past and are making an initial real money deposit. There is a 10x wagering requirement with this offer. So, if players deposit $100 and get the 100% match, they would then have $200 in their account. To complete the welcome bonus, players would then have to wager $2000 at the casino to complete the wagering requirements and be able to withdraw any potential winnings that have been generated from the use of the dedicated Caesars Casino bonus code. Players will have 30 days to complete the wagering requirements from the day of redemption. If the requirement is not satisfied, the bonus up to $300 will be lost. In order to see the potential of this offer, players often consider depositing the maximum limit for the promotion, which is $300. Getting started at this online casino is safe and simple and when players click on Sign Up, they will be taken to the registration page. Here, they will enter personal and financial details as well as the bonus code and choose their username and password. Once this information is entered, players can complete the account creation and benefit from the no deposit bonus. If they are making an initial deposit, the promo code for the 100% match bonus can be redeemed, offering free money to get started playing the games that are featured. Once an account is created and funded, players can wager real money on any game at the casino and will also benefit from the offering of bonuses and promotions on a regular basis. Likewise, when it comes to games, there are great featured titles. And with more than 51 titles, there is something for everyone. Many of the games at the casino are traditional slots and video slot games, with names like Kitty Glitter, Sirens, Samurai Princess, and Treasures of Troy. In the world of online gambling in New Jersey, Caesars has one of the best selection of table games. There are the casino classics of Roulette and Blackjack and players can enjoy lesser known games like Casino War and No Commission Baccarat. There are also many types of poker games, some featuring side bets for more chances to win. With five variations of blackjack and bets that can be as high as $500 per hand, there is something that will meet the needs of any player. Any player that registers an account and takes advantage of Caesars Casino Bonus Code on registration will immediately become a member of the loyalty program of the casino. 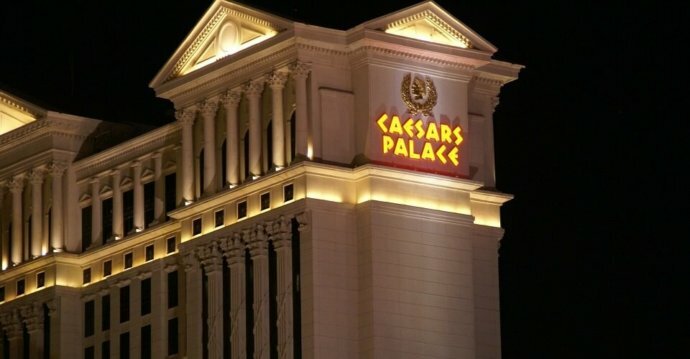 How does Caesars Loyalty Program work? It is open to players who gamble at the land venues of any Caesars-owned casino like Harrah’s, Bally’s, and the Showboat. The Total Rewards program is the way players will get rewarded for their loyalty to the casino and with each and every online game that is played, players will start to amass points that can later be redeemed for real money or casino perks at a land location. To earn points for Caesars Loyalty Program, just place real money wagers on games. For every $5 that is wagered on Caesars slots, players will get 1 point and they will also get a point for every $10 that is wagered on video poker games. The number of points and credits earned when playing table and card games will vary, based on the average bet being placed and the length of time players are at a table. Caesars online casino is a site that is based in New Jersey and offers players the chance to enjoy the thrills of gambling while remaining at home. This online casino started to operate in November 2013 and it is licensed by the New Jersey Division of Gaming Enforcement. At Caesars, players will enjoy a fast and simple registration process, access to top-rated payment methods, extreme player protection and access to some of the best games ever played. What platforms are supported at Caesars? To make sure that all players have easy and secure access to the games at Caesars, the casino supports the use of a PC, Mac and mobile device. 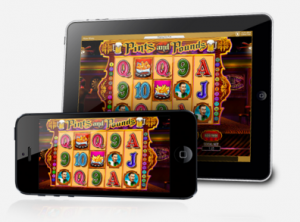 Players can easily use their phones and tablets to access games and play for real money at any time. To get started, just visit the Caesars casino site and choose how to access the games that are featured. What methods of customer support are offered? Caesars wants all players to have a rewarding and positive experience, which is why the 24-hour customer support offered. There is also a useful FAQ page that can be accessed, where many questions are addressed, providing players with the answers they need to continue on enjoying games. The support team is available through live chat on the main page and there is also email and phone support offered.